The Moon was closer to the Earth this March than it has been in nearly 20 years. With the power of the cosmos, and that ghastly large moon, the VG crew scoured the world on a relentless search for snow, new tricks, and new spots. Our journeys landed us in Japan, Sweden, Whistler, Boston, Alaska, and everywhere in between. 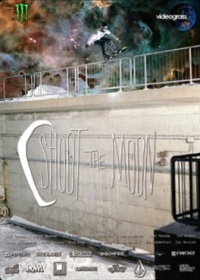 This is certainly not the disco party snowboard video you are used to...Just pure snowboarding, personality, and progression the way it should be...Expect some mind numbing parts from your favorite guys on snowboards - Shoot the Moon!